© Kari Pait. All rights reserved. 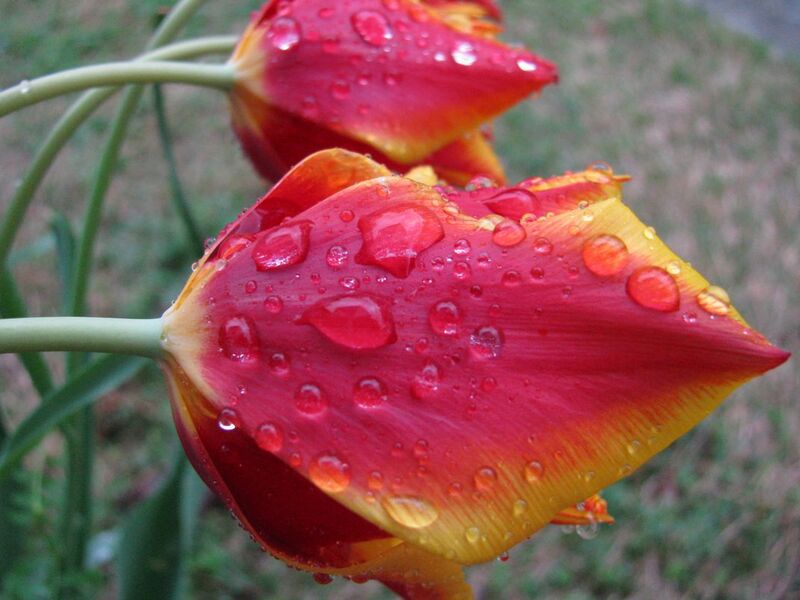 Tulips bent over weighed down by April showers is very symbolic. The yellow means friendship and the red means love. The flower itself represent lover's "two lips". Friendship is the start of love and it is what holds it together to outlast the rain. Date Uploaded: April 19, 2011, 4:20 a.m.